This week I am excited to tell you about Whistlebare and introduce you to Alice Elsworth. I met Alice recently in Edinburgh, but have had my eye on her fantastic home-grown, hand-dyed yarns since the Edinburgh Yarn Festival. The Yeavering Bell yarns are a blend of sumptuous fine kid mohair and Wensleydale, worsted spun and then dyed by Alice, in small batches. Available in 4ply, DK and Aran – the yarn comes in a whole range of tantalising shades from deep saturated shades, to fresh tones and faded, heathered colours. What’s more there are incredible designs – for men, women and children – and you can purchase these in a yarn and pattern bundle. I really love how there is such a lot of inspiration here in terms of variety of patterns. The prices start at £14.50 upwards and these would make a perfect gift for yourself or the yarn lover in your life. 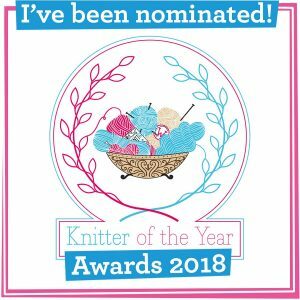 Put on the kettle and settle in for a yarny elevenses as Alice talks about the farm, dyeing yarns and mentions some of those lovely kits. 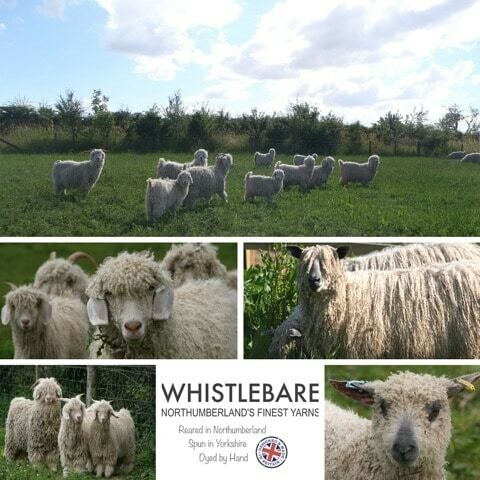 Whistlebare is a small (about 60 acres) very beautiful farm in North Northumberland, a stone’s throw from the beach in one direction and the fabulous Cheviot Hills in the other. We moved here in 2004 bringing our small herds of Aberdeen Angus Cattle and Large Black pigs with us. These we farmed to organic standards until 2012 when a variety of factors converged to mean we needed to find a new direction. In that time I had learnt to crochet and was picking up knitting needles again after a 25 year break. I was loving the creativity and the peace induced by an evening’s crafting. 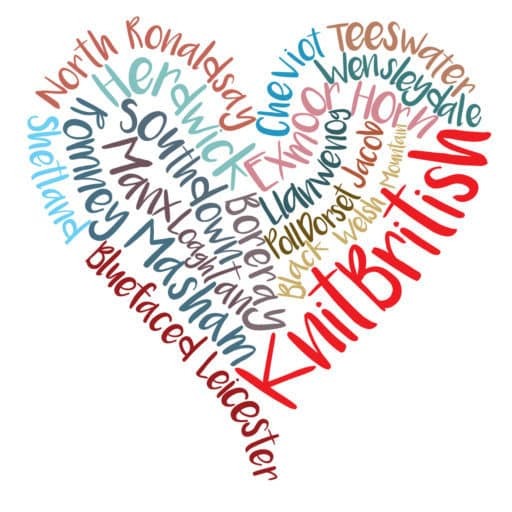 It was when I started to visit some of the fantastic Yarn Festivals around, notably the very first Edinburgh Yarn Festival, that the idea of producing our own, British, local, specialist yarn began to take root. As a teenager I had spent my holidays helping my Aunt on her goat farm in Cornwall. She had a few Angora goats and I had always loved them and the amazing lustrous mohair they produce. After a lot of investigation and soul searching I was delighted when Angora goats appeared to be the way forward. Our first 9 Angora goats arrived in 2013 to great excitement. I wasn’t the only one who was excited, our four sons, then aged 6 to 11 years old, were very keen to get involved. My husband and I decided that this was an opportunity for the boys to begin their own flock of sheep. Again, much research ensued. Wensleydales with their beautiful long locks of high lustre wool, as well as being a rare breed from my husband’s native Yorkshire, seemed to be the perfect compliment to our goats. The boys’ first three ewes arrived, in lamb, at the beginning of 2014. It has been a very steep learning curve as goats and sheep require very different care but now, nearly 3 years later, we have a herd of 90 goats and a flock of 35 sheep and are loving every minute of it! Keeping the animals is only the beginning, then we had to produce a yarn. We had been clear about our aims from the outset. Our yarn would be British, from animals kept to the highest welfare standards and have the smallest carbon footprint we could manage. Mohair and Wensleydale have a number of special features not least that they are both high lustre. In order to make the most of the shine we decided that our yarn should be worsted spun and were delighted to discover that scouring, combing and spinning could all happen in Yorkshire. We have the yarn plied into three different weights, 4ply, double knit and aran, which is returned to us for dyeing. Dyeing has been a revelation for me. I undertook it with some trepidation as the yarn was so beautiful and I was afraid of ruining it. Sylvia, whom we had bought some of the goats from and who had been dyeing mohair for 30 years, gave me lots of help and advice. I also went on a course and then I dived in! Now I love it! Mohair has long smooth fibres that are able to absorb dye particularly well. Then, because they reflect light very well the result is real clarity of colour and shine. It is hard not to enjoy doing something when the result is so stunning. Wensleydale shares many of the characteristics of mohair dyeing beautifully as well so our yarn ‘Yeavering Bell’ positively glows with rich colour. 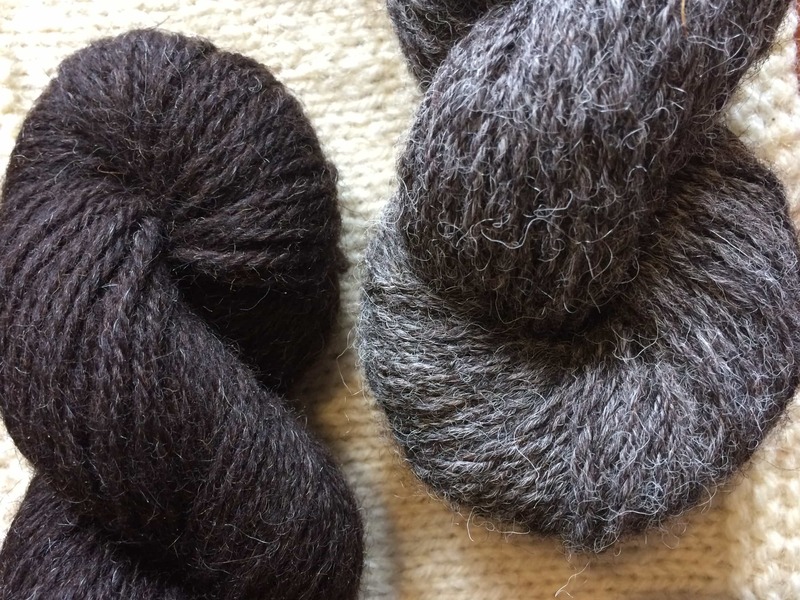 I only dye Yeavering Bell into solid or semi-solid colours as I feel that multi-coloured dyeing would detract from the yarn’s own simplicity and beauty. That said I produce over 30 colours and am adding to our palette all the time! Yeavering Bell is a unique yarn, this spinning is 80% mohair and 20% Wensleydale. It is soft and sleek with rich colour and very high lustre. Mohair is a hollow fibre so is very insulative whilst being very light weight. The addition of Wensleydale, which is a much heavier robust fibre, gives the mohair enough weight to drape beautifully. Another of mohair’s characteristics is that it has the highest rub test of all natural fibres so, when knitting with Yeavering Bell you can be sure that your project will last for years. Whistlebare’s patterns are contemporary classics all designed to to make the most of all mohair and wensleydale wool’s special features. I am also very excited to announce a new yarn in our range! Literally as I write this the mill is spinning our brand new SOCK YARN – ‘Cuthbert’s Sock’! It will be entirely natural fibre, 70% kid mohair and 30% Wensleydale wool. Mohair is the perfect sock fibre. It has the highest rub test of any natural fibre and so won’t wear out. The fibres themselves have very few scales and what scales there are lie smoothly, as a result bacteria has nowhere to cling on and so mohair socks don’t smell! As the mother of 4 boys approaching teenage years I can tell you it appeals to me! This first spinning is relatively small as we dip our toes into the sock market so to speak but we can’t wait to get knitting! Keeping livestock is not so dissimilar from having children. Each morning begins the same way – chasing the boys out of bed, giving them breakfast, helping them find their shoes and bags and sending them off to school. Then out into the yard (sometimes still in my dressing gown!) to make sure all the animals are looking fit and ready for their breakfast. I have two British Toggenburg goats that need to be hand milked giving us beautiful fresh milk for the house and any bottle fed kids we may have in the Spring. That’s followed by more routine jobs possibly trimming the goats’ feet, worming or vaccinating; moving them to new pasture or preparing them for shearing. Other days the focus may be more on the farm itself rolling or topping the fields or repairing fences – goats are notorious escape artists. When the essential outside work is done then I get to escape to my dye shed (otherwise known as the utility room). Here I will spend a couple of hours building up stocks and devising new colourways. Then, if I’m very lucky and my paperwork is up to date (unlikely) and I have packed the day’s internet orders I might settle in for a happy hour or so with my hook or needles. I am relatively new to knitting and crochet but am entirely absorbed by the whole creative process. By then the first of the boys will be coming home and it is round two of feeding, chasing and helping both the two legged and four legged beasts in my care! | If you could cast on one of your yarns now what would you knit? Without doubt the pattern from our range that I would most like to knit is our brand new Eadfrith Wrap from our aran weight Yeavering Bell. It is an huge cabled wrap that is truly a blanket around your shoulders, perfect for my windy beach walks with the dogs! To do that though I would have to choose a colour that I am certain to still love after 8 skeins worth of cabling – I’m a beginner remember! It would have to be from my newest range of colours, quite likely Sloe Velvet or Pure Soul or possibly even Dragon’s Breath………. We offer several gift sets suitable for Christmas. Some of our most popular patterns, Daisy Scarf, Night & Day Shrug, Charm of Finches Hat, Cowl & Cuffs and our beginners’ Happy Hat and Scarf can be bought as a boxed set with printed pattern and your choice of colours. Also, new this year we are producing ‘Pockets of Colour’, each one containing about 200g of DK in 6 different colours (33g each). We have 2 pattern choices to go with them our ‘Mill Wheel Ripple‘ hat or cowl and our ‘Party in the Dunes’ hat or cowl. 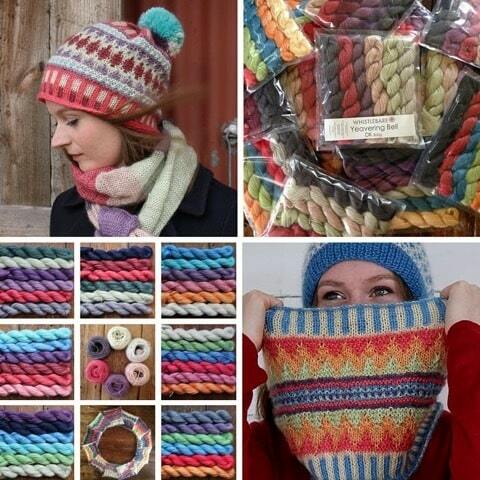 These make very appealing presents and are fun to knit! All our gift sets can be wrapped in our cheerful Whistlebare wrapping paper. We have a small Studio on the farm that you are welcome to visit. 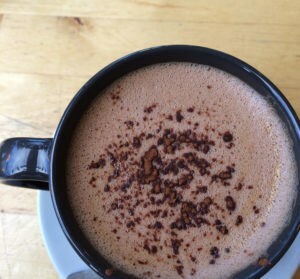 It is officially open on Wednesdays and Fridays from 10.30am until 3pm. You are however, welcome to drop by any time and if I am about I will open for you. If you want to be certain that I am around then drop me a text to 07775501068 and I will confirm. We also have stalls at a number of wool festivals throughout the year. Check our website for details. Alice, thank you so very much for sharing such an insight into the work you do at Whistlebare and those incredible yarns you create there. 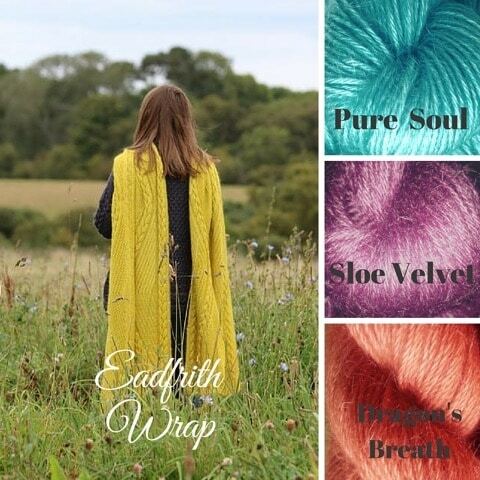 I thoroughly recommend a delve over in the Whistlebare shop and if you are buying yarn for yourself why not consider the patterns available and avail yourself of lovely kit! If you would like to hear more from Alice then my podcasting mucker Jo Milmine has her as a guest over at the Shiny Bees podcast this week. Next week’s Kitsmas shopping is going to be focussing on hands and heads! Previous Postepisode 47 and I knit socks now!